• هناك 75 غرفة و 9 أجنحة. • قاعة اجتماعات وبركة في الهواء الطلق على واجهة الشاطئ. 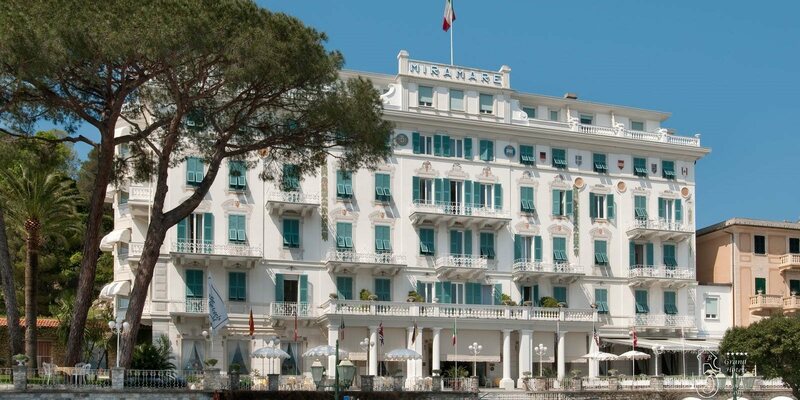 • 1903: Opening as a Hotel of the former private residence of Mr Giacomo Costa. • 1927: Acquisition of the Hotel by the Torriani Family. • 1933: Guglielmo Marconi transmitts radio-telegraph signal for the very first time in the world. • 1943: Acquisition of the Hotel by the current owner, the Fustinoni family. • 1951 February: The Hotel hosts te Coal and Steel Conference. Participants are the Italian Prime Minister De Gasperi, the Foreign Minister Sforza, and the French Prime Minister Pleven and Foreign Minister Schuman. The conference was one of the early steps of the European Union (EU).